We are a family farm dedicated to raising polled and horned purebred Herefords. Alfred Knieling started Knieling Polled Herefords buying his first Hereford in 1962. Together the family raised orchardgrass, timothy hay, alfalfa, quality seed stock and commercial cattle. The family enjoyed showing in 4-H and Dave continued in his passion of raising and showing Herefords until he embarked on a new career as a small successful young business owner. This took him away from the show ring until his daughter revived his interest as she began to show cattle in 4-H and in the Junior Hereford shows. 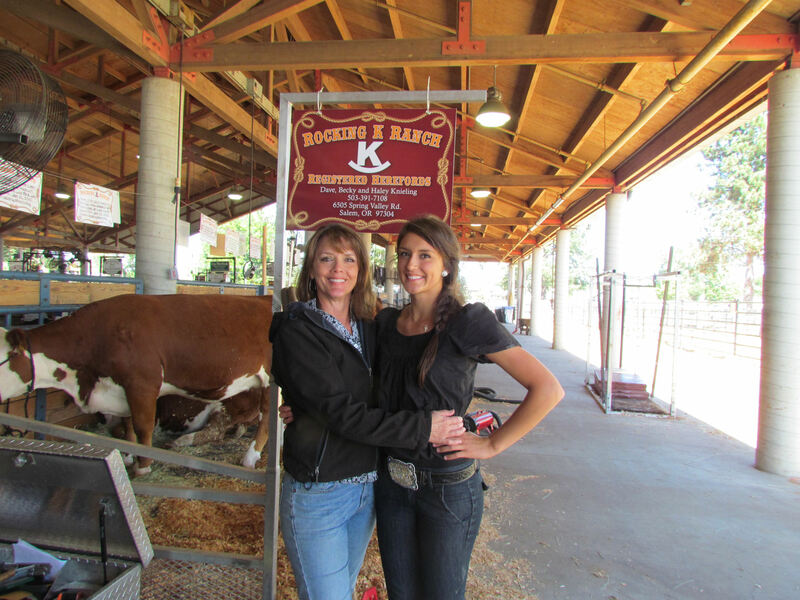 We transitioned to Rocking K Ranch at our new location and began to pursue a more aggressive program with the use of embryo transfer and artificial insemination with strict selective traits in mind. We strive to raise cattle that perform in our pastures as well as yours. Raising high performing, stout, docile cattle with a ton of vigor is our goal.